Every year since I became a mom, come late August/early September I've looked forward to getting the Pottery Barn Kids catalog with all their darling Halloween party ideas and costumes in it. Creepy crawly things don't faze her at all. Digging around in the dirt for bugs and splashing in puddles is where she's right at home! 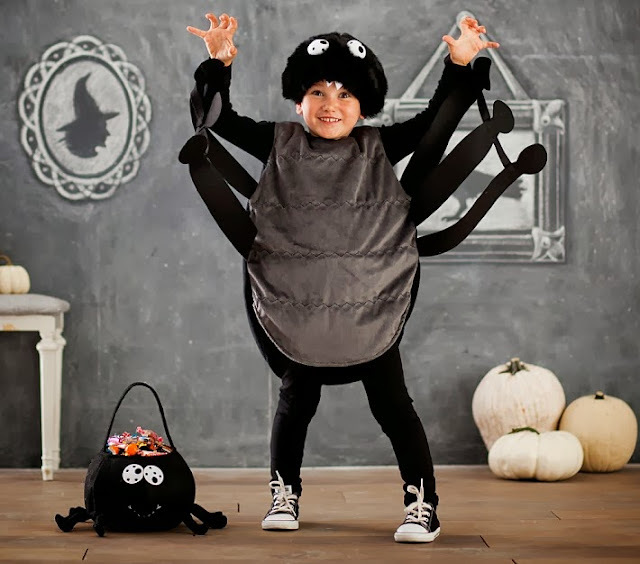 Of course the best part of adorable costumes is seeing them on, so I thought it would be fun to host a little Halloween party with a spider theme. These invitations in a box are not the usual fill-in-the-blanks-stick-it-in-an-envelope or an evite. They're a fun way to start off a theme party and are really just a few extra steps! Attach your paper layers together with a glue stick or double sided tape. and tie it with twine or ribbon. I also have a few more spider-y Halloween party details to go along with the invite...and I'll share those soon! Which Pottery Barn Kids costume do you like best? Or do you make your own?? ps. 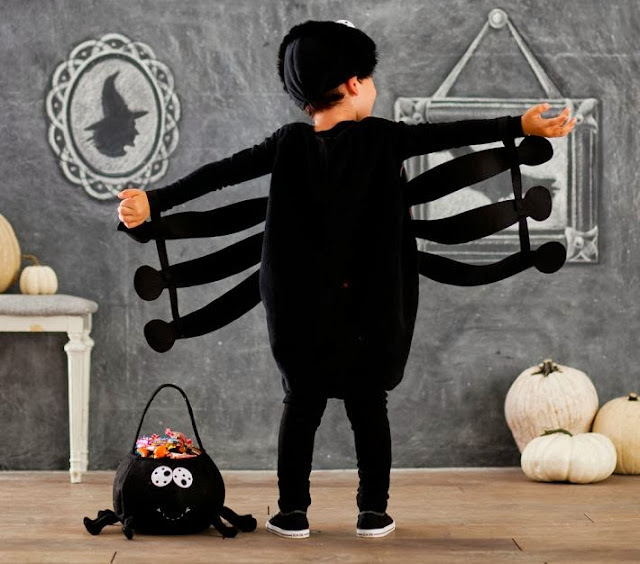 right now when you shop Pottery Barn Kids online for Halloween treat bags, you save 20% and get free shipping!! Aw, I loved Charlotte's Web!